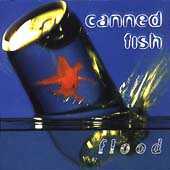 As with the first Canned Fish project (Swimming Upstream) this is a compilation of songs that have grown out of the everyday life of two local church communities. These songs are not intended to be part of a statement about where we think praise and worship should be going, nor how contemporary praise and worship should sound. The songs on this album are songs that are played on a regular basis in the local church. The style and flavour is rooted in how the songwriters and musicians of Canned Fish interpret their time and culture. We hope you enjoy listening to this project as much as we enjoyed writing and recording it. Thanks to John Queenan for the Martian guitar and Roger and Gail Bouffe for the kombie that eventually worked. Also to Mark for the hours of rehearsals at Soek-die-aap in Lanseria. To Frank, Jacqui and Thomas for expertise on the sound desk and hours of help. Thanks to Barry and Sheryl Snyman for their generosity and support. Special thanks to Ian, Nola and the Bryanston NCC elders, as well as Sean and the Waverly NCC elders for their belief in the songs and the time off to record them. Thanks, too, to both of the church families for your support. Thanks to our wives for taking the risk of marrying us and helping us to follow our dreams. Thanks, also, to Talana, Lee, Caydn, Abigail, Melissa, Matthew and Sam (in order of appearance) for being such sweet dreams. Thanks, also, to Anton Nurden and all the guys at Sarepta for everything you have done to launch this project and contributing with your expertise and enthusiasm so readily. Information on this page last updated 02/01/1999 All information provided on this page is copyright © 1996-2019 Valley Vineyard Christian Fellowship. If you spot any errors, inaccuracies or other bloopers, please send an e-mail to Donn Edwards at vmu...@spamcop.net. Do not use this email address for any marketing purposes.